Prime Minister Narendra Modi and his Japanese counterpart Shinzo Abe today launched India's first bullet train project between Ahmedabad and Mumbai. 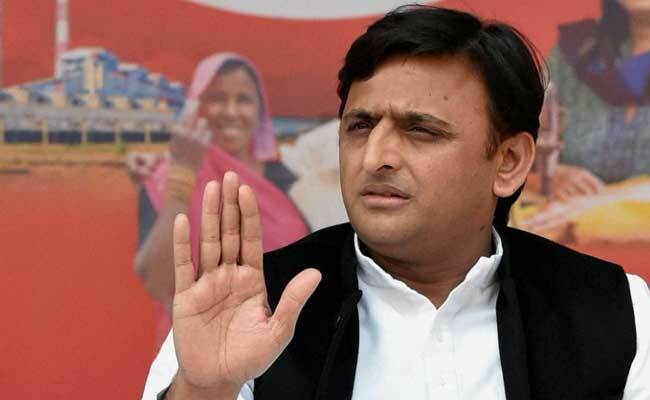 Lucknow: Samajwadi Party supremo Akhilesh Yadav today said that the Narendra Modi government should have launched the bullet train project for the New Delhi-Kolkata route. The former Uttar Pradesh chief minister said that the project is very costly and the fare will be known only when it gets started. But "in my opinion, it should have been between New Delhi and Kolkata passing through Uttar Pradesh and Bihar, which have maximum number of unemployed and poor," Mr Yadav said. The former UP chief minister's comments came hours after the launch of the ambitious Rs 1.10 lakh crore Mumbai-Ahmedabad bullet train project which will cut travel time between the two cities from seven hours to less than three.